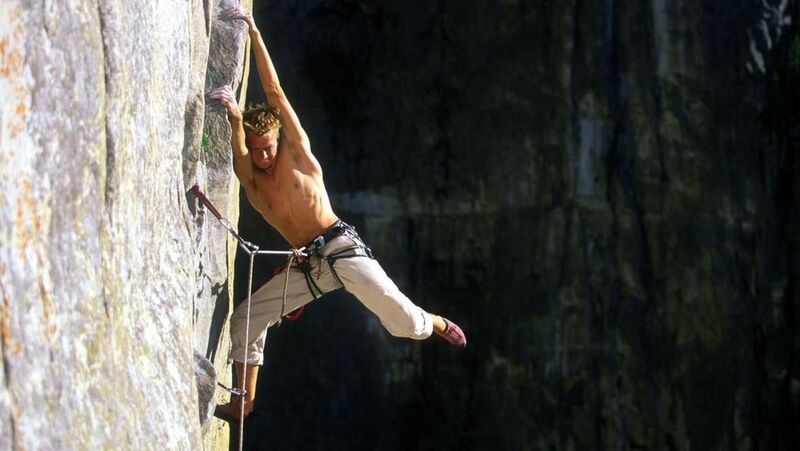 Leo Houlding is one of Britain's top climbers and among the best in the world. He is a veteran of a score of epic ascents, including Everest, but specialises in free climbing the most technical peaks and biggest walls in the world. British champion by the age of just 16 years, Leo has since climbed some of the hardest routes in the world. He has undertaken expeditions to the depths of the Amazon jungle and to the icy wilderness of Antarctica. An experienced base jumper he is at the forefront of Para-Alpinism (climbing up then flying down). Leo pushes the limits of exploratory adventure by taking the ultimate in extreme sports to the most extreme environments. More recently he has teamed up with natural historian and adventurer Monty Halls to film the TV series 'Lost Worlds' for the Discovery Channel. Together they explore the exotic and dangerous locations and truly get to grips with the ecology and wildlife that surrounds them. An articulate communicator, Leo gives adrenaline-fuelled presentations focusing on risk, motivation, achievement and team leadership, and uses audio-visuals that blow audiences away.